100% GUARANTEED WEED CONTROL IS BACK! 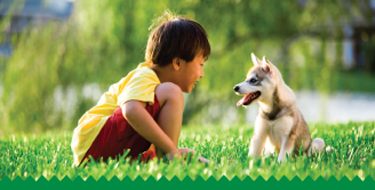 Lawn care with a real difference! Some companies may ask you to water your lawn the day after an application. Unfortunately, that process dilutes the product you just paid to put on your yard. We never ask out clients to do that. In fact, we provide simple suggestions after each visit to help you drastically reduce the need for watering and to develop a deeper, healthier root system that will allow your lawn to deter stresses and thrive. 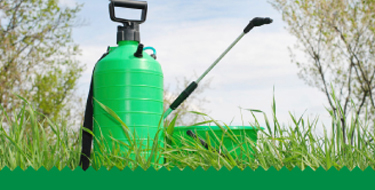 Years ago, when most companies were using granular fertilizers, we decided to use our own proprietary liquid formulation, which has distinct advantages when it comes to application. $5 A Day To Feel Warm And Fuzzy? Manitoba Communities we serve: Winnipeg, Steinbach, Selkirk, Winkler, Morden, Niverville, Carman, Oakbank, Stonewall, Oak Bluff, Headingley, and La Salle. Your questions answered by the pro! Should I mulch or bag my grass clippings? Bag! Lawns in Manitoba grow far too quickly to mulch effectively. Mulching too much grass too quickly can lead to a quick build-up of thatch that will in turn, make your lawn more susceptible to stress, disease, and insect infestations.